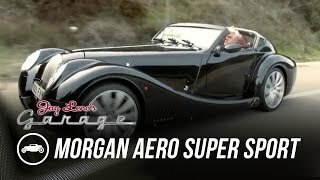 The Morgan Aero Coupe is an advanced supercar designed for practical long distance touring. The strong and rigid vehicle is inspired by the GT3 Aero that has enjoyed a number of racing victories. The enclosed cockpit of the Coupe body style takes the Aero experience onto the next level in terms of comfort with a large and secure boot in the rear for luggage. 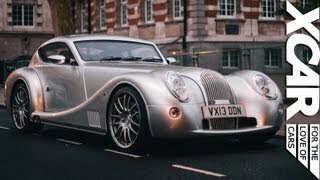 Constructed entirely from aluminium which is a third of the weight of steel, the Morgan Aero Coupe combines performance with environmental responsibility and a high level of safety. The fixed roof and enclosed cabin give a sense of security and silence which is only interrupted by the intoxicating purr of the BMW V8. A stiff aluminium chassis cradles the 4.8 litre BMW V8 engine and the 6 speed manual or automatic transmission. The individual alloy parts are formed from tooling and hand assembled by skilled craftsmen at the foot of the Malvern hills. The pioneering Aero platform continues to demonstrate British engineering at its very best and over 1000 examples of this technology are in regular use by drivers around the world. 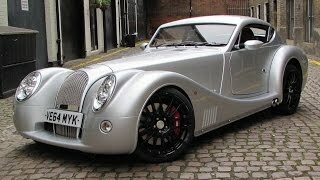 A Morgan Aero Coupe is a car that is designed to be durable with proven chemical coating and treatments of the rigid bonded chassis and body. Following research by the company on the road, the race track and in automotive laboratories the design of this versatile platform has been consistently improved and re-engineered. 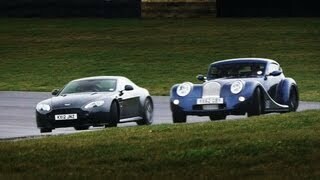 now the Morgan Motor Company is a class leader in this chassis and car body technology. The cockpit of the Aero Coupe is a delightful place to be. The sensation of speed is exaggerated by the enticing view down the elegant bonnet. The view to the rear makes the car easy to manoeuvre and to park. Every detail is special to Morgan and is a pleasure to behold. Ash hardwood surrounding the cockpit and doors can be hand polished in a colour of your choosing. The controls are luxurious to touch. The leather work is stitched with twin needles and combined with suede effect panels for contrast and a dynamic sporty feel. Pressure point reclining seats support the occupants strongly and great care has been taken to ensure that the driver has a masterful position from which to control the car. Reliability is ensured with the BMW V8 and a six speed automatic transmission. This can be operated in two modes, ‘Sport’ and ‘Auto’. In ‘Sport’ mode the engine holds its gear to 6500rpm and ‘blips’ the throttle before making a down shift. The power to weight ratio is around 320bhp per tonne and a 0-62mph of 4.5 seconds combined with a top speed of 170mph is effortlessly achievable. 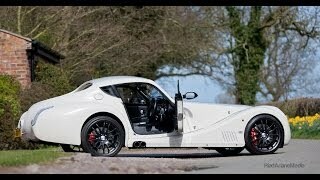 The Aero Coupe comes with a full specification as standard. A powerful standard sound system creates audio definition as crisp as the lines of the exterior. However the Morgan Aero Coupe can also be customized to a person’s individual taste and the choices are virtually inexhaustible.